March 26, 2018 By Allyson 7 Comments This post may contain affiliate links. Read my disclosure policy. 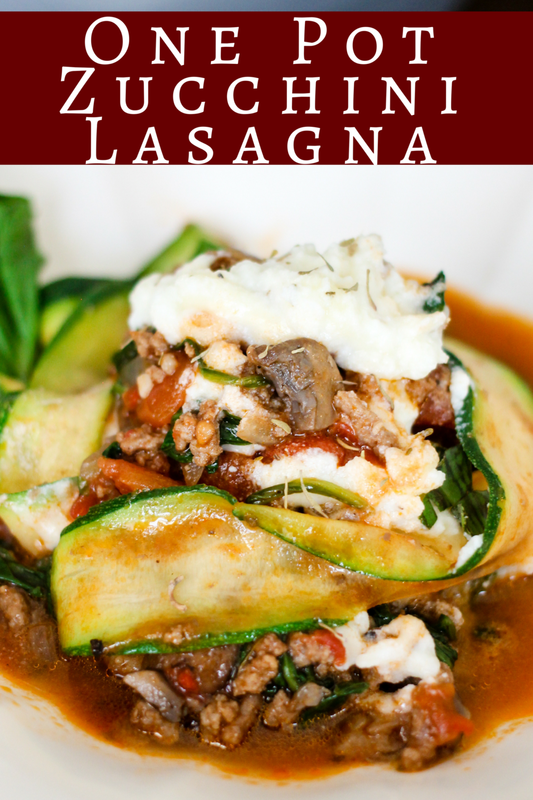 One Pot Zucchini Lasagna is the perfect low carb lasagna! 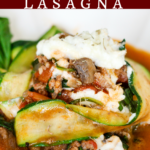 Traditional lasagna flavors paired with healthy zucchini slices makes a delicious dinner! When looking to eat healthier, there are a lot of easy substitutes for not so healthy things. I LOVE lasagna, but I don’t love all the carbohydrates from the noodles. I love substituting ‘zoodles’ or zucchini noodles for pasta, and it makes for a really tasty and healthy replacement. This One Pot Zucchini Lasagna is the perfect weeknight meal. It feels indulgent, but it only takes minutes to cook up and is a great healthy meal! Today’s post is sponsored by Herbalife Nutrition, however all opinions are my own. I have shared in previous posts that I’ve made a lifestyle change over the past few years and have worked very hard to lose 40 pounds. Not only do I workout and teach Zumba classes multiple times a week, but I also keep track of everything I eat and aim to have a healthy diet by making healthier, smarter choices. If you are looking to lose weight, working out and being active is important, however the biggest factor is what you eat. 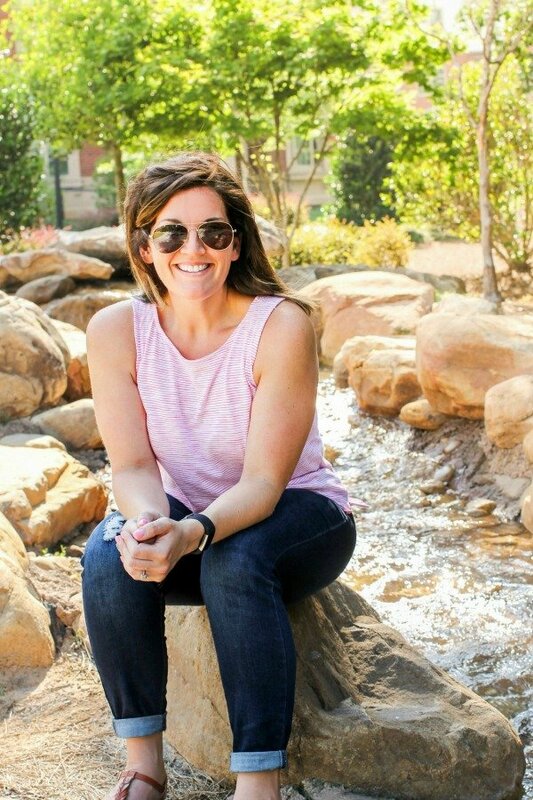 I have been working with Herbalife Nutrition over the last few months and I was able to have a conversation with Susan Bowerman, Registered Dietitian and Herbalife Nutrition’s Sr. Director of Worldwide Nutrition Education & Training. She shared so much helpful information, but most importantly, she told me that I need to be careful with my dinner. I need to have a meal that includes veggies or salads, and be careful with portion control. Sometimes when I come home from the gym at night I am starving, and I can definitely go overboard. By having stricter portion control, and replacing heavy carbohydrates (like pasta) with healthier choices like zucchini noodles, I will have better luck keeping things in check. 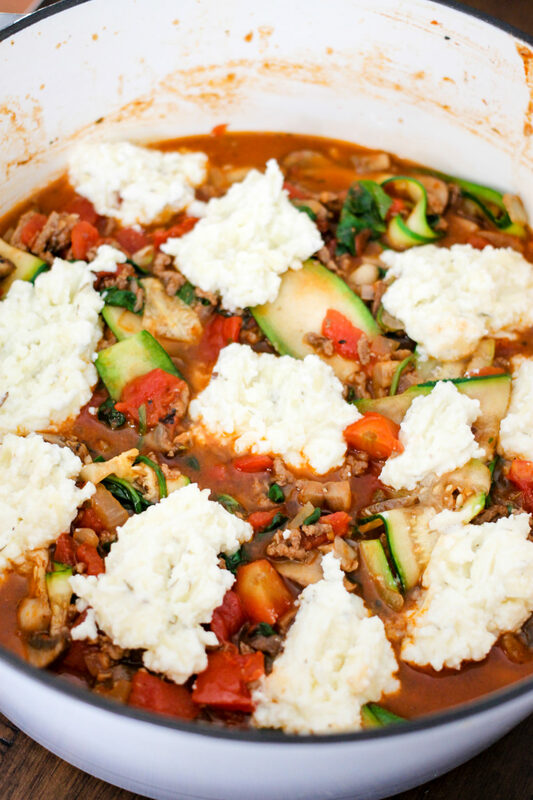 One Pot Zucchini Lasagna is the perfect balanced meal choice for me. Another important factor in tracking meals and staying on track is MEAL PLANNING!!! Meal planning 5-7 dinners a week is vital for staying on track. Shop for all meals on one day, and stick to your plan. You won’t be tempted to stop at the drive-thru or pick up a less healthy option. Find the right meal plan for you! 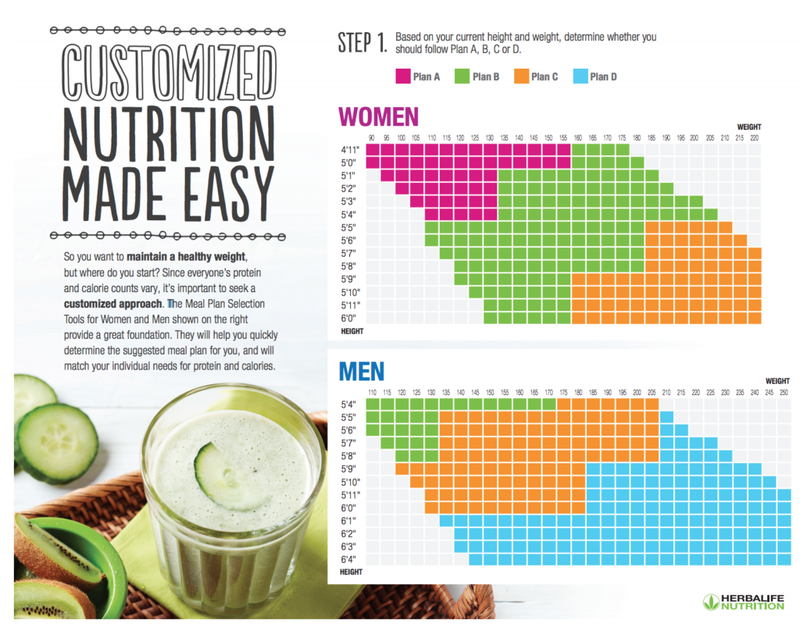 This Meal Plan Selection Tool, created by Susan Bowerman at Herbalife Nutrition, is designed to match your individual needs for protein and calories. Meal planning helps save money. When you aren’t grabbing random things at the grocery store, and you actually have a list and recipes to correlate to what you are buying, you save money. Food items do not go wasted in the fridge and you utilize what you purchase. Don’t like following recipes? 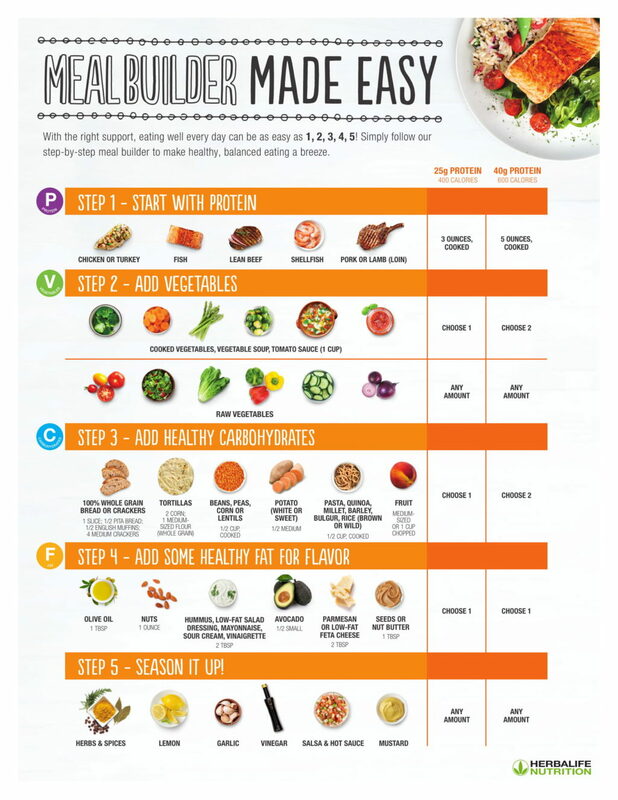 Use this easy Meal Builder from Herbalife Nutrition, to make your own meals! 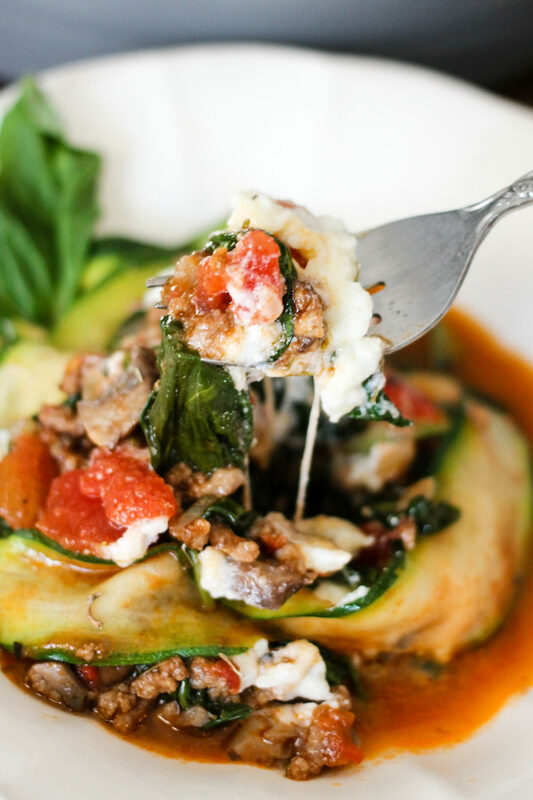 I like that this One Pot Zucchini Lasagna is a healthy meal I can feel good about eating and feeding my family. Add this to your weekly meal plan and see how good it is for yourself! You can also download a ton of healthy recipes and more meal building tools from Herbalife Nutrition. Add beef to a dutch oven or large skillet over medium/high heat. Cook for 5 minutes, then break apart and cook 2 more minutes. Add onions, garlic, mushrooms and cook for 3-4 minutes, stirring frequently. Add tomato paste, diced tomatoes (including liquid), pepper, and salt. Stir to combine, bring to a boil and then reduce heat to simmer. Cover and cook for 5 minutes. Add spinach leaves and zucchini noodles, stir gently until spinach leaves are wilted; about 1 minute. Add mozzarella cheese; stir to combine. Turn off heat. Add ricotta cheese in dollops around the top of the zucchini lasagna; cover and let sit for 2 minutes. Serve and top with fresh basil leaves. Enjoy! One Pot Spicy Thai Zoodles are the perfect healthy meal! Substitute zucchini noodles for pasta for only 162 calories PER SERVING! So amazing! This looks delicious! Such a great way to incorporate more veggies into the kids’ diet. You are SO right! Being able to add in vegetables to a traditional dish that is already loves by kids is a great way to get those veggies in! This looks like a simple brilliant way of enjoying all of our colorful vege’s; thank you my parents will love this !! Yes! Meal planning is such a great thing for so many reasons (and I admit that I need to be better about it)! Loving your dish with the zucchini sub for standard noodles. It looks so good! I rarely make lasagna because of the carbs, so I’m loving this healthier version. Looks amazing! That sounds fantastic, I’m craving this right now! I was just thinking to make a zucchini lasagna! I will try your recipe!